EL BLOG DE EDUARDO ROJO: The latest labour reforms in Spain (I). The latest labour reforms in Spain (I). Text of my presentation at the roundtable held today on labour market segmentation, “Industrial Relations Conference 2011. Beyond the Crisis: Industrial Relations and Sustainable Growth”. 1. Good afternoon. First of all, I want to thank the organizers of the Conference for inviting me to participate in this roundtable. It is a pleasure to share this debate with such experienced specialists, Thomas Haipeter and Janine Leschke and to reflect on the conference’s objectives of analysing and discussing the contribution which industrial relations has had on the growth path to recovery. I do note that it is also important to focus on the social sustainability of the recovery. I have prepared my speech in English with the very valuable help of my son Ignacio, who lives and works in Sydney, Australia. Never as much as today have I appreciated the considerable time and money spent on him learning this language! The title of this round table is "Labour Market Reforms in Europe; Reducing Segmentation, Increasing Social Sustainability?” From the perspective of a jurist with over thirty-five years of experience, I will briefly explain the recent labour reforms and social protection measures in Spain and how they affect, or do not affect, the reduction of labour market segmentation. The most recent reform, being introduced just last month, relates to urgent measures for the promotion of youth employment and fostering stability in employment, and has been criticized by unions. My presentation is addressed particularly to foreign professionals attending this conference. 2. I have structured this presentation by posing three questions relevant to the issues at hand which I will try to answer. First question. What has changed legally in the labour market in Spain from June 2010 to the present? A lot has changed. Let me give you a clear example: at the beginning of the academic year later this month, I will tell students of my course in Labour Law and Social Security that they cannot use the majority of the notes and documentation from previous years, because there have been significant changes in important subjects such as collective bargaining, active labour market policy and for-profit private placement agencies. The influence of the directives given by the European Commission is pervasive. For example, the Commission criticises, as does the International Monetary Fund, the segmentation of the labour market. To address this segmentation, the Commission proposes the incorporation of a single contract to reduce the difficulties faced by the judiciary of extinguishing permanent contracts and to lower severance costs. The Commission is critical of the legislative value of collective agreements. It considers that this impacts on flexibility in a negative way. 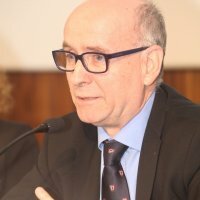 According to a Commission working paper from June 7 of this year, the general validity of collective agreements, combined with a segmented labour market with a remarkable geographical bias, reinforces the divide between two groups of workers: a protected group with significant bargaining power and an unprotected or limited group with no participation in union elections. Furthermore, the International Monetary Fund states that, “Severance payments should be further lowered to at least EU average levels and should be better designed to make permanent hires more attractive. Severance payments remain high and are still likely to constitute a significant deterrent to the use of permanent contracts once employment growth strengthens”. The IMF is of the view that the Spanish labour reforms are proceeding in the right direction but need to enhance business flexibility. The IMF also warns that "if there are not clear and immediate signs the [Spanish labour] reform is delivering the necessary level of flexibility to companies, a more radical reform should be introduced". A) In June 2010 a royal decree-act of urgent measures to reform the labour market was passed by the Spanish Government. During the enactment process a number of amendments were made to strengthen the power of business management. This Act finally became enacted on 17 September 2010. The most important regulatory development in relation to this Act has been the formal regulation of for-profit private placement agencies for the first time in Spanish history. These agencies will be regulated according to the provisions of the Private Employment Agencies Convention (number 181) of the International Labour Organization. On 29 September, the Act was widely criticized by trade unions and was the source of a general strike. The unions collected more than one million signatures against the Act and filed a "popular legislative initiative" that has been accepted for debate in Parliament. Due to the dissolution of chambers later this year, it is probable that this debate in parliament will not proceed. B) In February 2011, two more important royal decrees-acts were passed by the Spanish government. The first is in regard to urgent measures to promote the transition to stable employment and retraining of the unemployed. The second deals with improving employability and the reform of active employment policy. The second decree-act is being processed in Parliament as a bill, but will most likely not be enacted due to the Spanish general election taking place in November 2011. C) Also in February of this year, the Trade Unions and the Employers' Organizations signed the Social and Economic Agreement which relates to: the public pension system, the reform of collective bargaining agreements, improvement of the functioning of the Public Employment Services and the process for vocational training and guidance. This agreement, which has been described as an example of social dialogue, has been incorporated into the reform of the employment policies and of the pension system and Social Security, by virtue of the recently passed Law 27/2011 of 1 August. This Law relates to the update, adaption and modernization of the Social Security System. According to the Workers’ Commission Union (CCOO), "the pact guarantees the future sustainability of the public pension system, maintaining a high level of benefits and limiting the cutbacks that the Spanish Government and the European Union wanted to impose". D) In April 2011 a new royal decree-act was passed to implement a program to promote the reduction of informal employment. Although official figures have not yet been made public, early signs indicate that the result is not that which was expected by the Spanish government. E) The lack of agreement between trade unions and employers on the reform of collective bargaining has led to government intervention. The Royal Decree-Law 7/2011 of June 10, on urgent measures to reform collective bargaining, expands business flexibility to manage employees’ working time, and also puts a greater emphasis on collective bargaining in companies, although State Agreements still maintain their importance. The decree-act has been criticised, for various reasons, by the trade unions and employers. The Parliament agreed to the act being processed as a bill, but its processing will not be possible due to the upcoming general election in Spain. -- and the rules on standing to negotiate collective labor agreements.